Everyone knows how companies benefit from shifting customer service operations to a cloud-based model but many do not realize the intrinsic value cloud flexibility has on customer experience (CX). When choosing the right contact center software provider, it’s vital that you consider every avenue of agility, flexibility and scalability with regards to CX – in the end, customer satisfaction makes or breaks a company. Here are 3 key points you should consider before you transition to a cloud contact center. 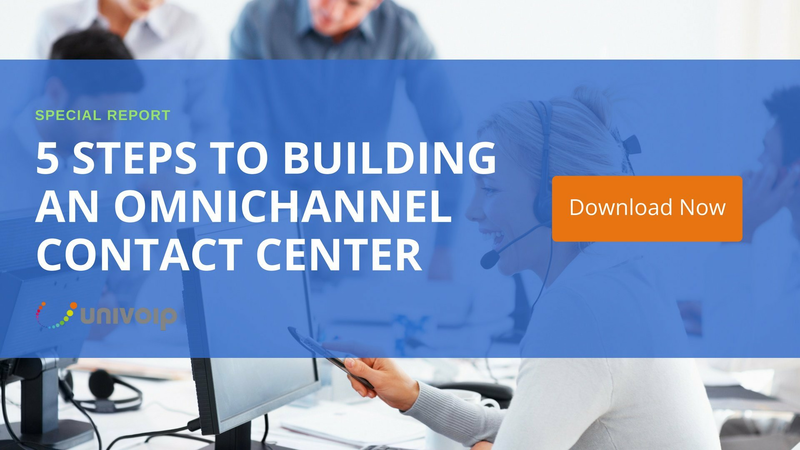 Does the contact center software support multichannel communications? It is pointless to move your contact center to the cloud if the software you are implementing will not engage your customers on their communication channel of choice. In today’s consumer world, multichannel communications is a must – voice, chat, social media, email and SMS. If the software you are considering does not match the hyper-connected consumer base, then it’s a wasted investment. Customers are evolving, and while a phone call is still the number one preferred channel for customer-agent communication, being omnipresent and offering that flexibility for customers is critical to a competitive edge. If you’re not giving your consumers options, you’re not putting them in control of their own customer experience. Give them options, give them freedom and let them create their own customer service experience. Will there be the access to vital data that will aid agents in delivering great customer service? Balancing the needs of contact center agents and the ever-growing demand from consumers is similar to a finely tuned masterpiece. Without a doubt, you’ll need the right data on customers – the more you know, the better customer experience will be. When you have a contact center solution that equips agents with critical data on consumer behavior like communication preferences, past order history, complaints and more, you’re creating synchronicity between agent’s quality of service and the customer’s experience. Everyone is happy. Not to mention, if your cloud contact center does not create a universal digital environment that simplifies and integrates workflows, you can be sure it’s not performing at an optimal level. So while your competitor is faster at handling customer service with one solution to handle it all, you could be fumbling through applications that just don’t mesh together. Does the cloud contact center solution offer disaster recovery? When your lines of communication go down, who is the first to feel the impact? Your customers. It’s no secret that customers expect immediate delivery of services despite time of day or even natural disaster. If your headquarters is impacted by an earthquake on the west coast, your east coast customers expect your business to be up and running. So did you plan for it? Most cloud software offerings are deployed in disaster recovery architectures, providing a huge advantage in case of emergency situations. So when you think customer experience, think highly available, geo-redundant, survivable service as an absolute must.